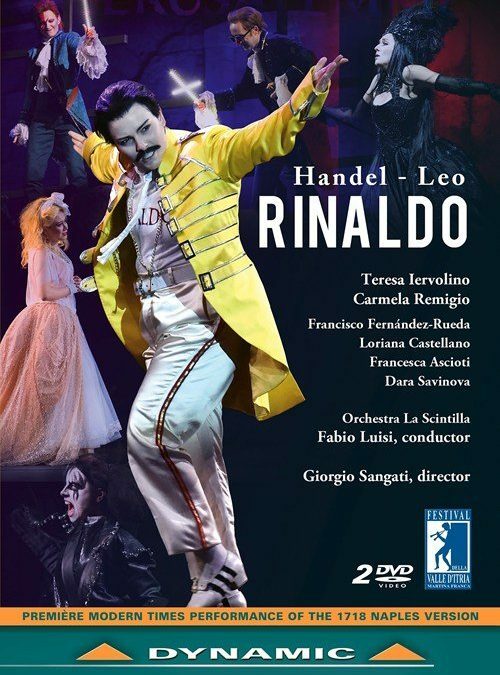 Presented by the Festival della Valle d’Itria, this is the first modern-day staging of Leonardo Leo’s Neapolitan revision of Handel’s Rinaldo, a pastiche with a Mediterranean allure, which was composed in 1718 but considered lost until a few years ago. The story behind this rare opera is fascinating: the score of Handel’s masterpiece was brought illegally to Naples by the castrato singer Nicolò Grimaldi, who had performed Rinaldo in London. Once in Italy, the work was given a makeover by local composers, including Leo, who adapted it to the taste of the Neapolitan public, adding intermezzos and amusing characters. Director Giorgio Sangati has transformed Leo’s revision into a ‘ba-rock’ opera set in the 1980s, where the struggle between Christians and Turks is re-imagined as a battle between pop-rock singers (the Christians) and heavy-metal performers (the Turks). The two factions represent opposite perspectives on life and love. Conductor Fabio Luisi leads the Ensemble La Scintilla, a group of specialists in Baroque repertoire.